Is bottled water really a good idea? Maybe not if you examine the facts. Here are 10 very surprising statistics. Who’s The Best? 2018 Water Taste Contest! 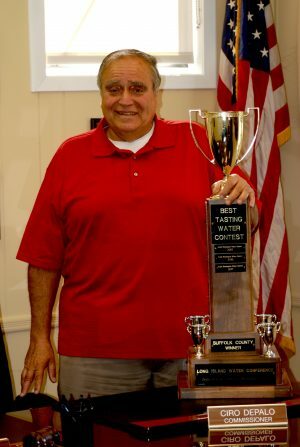 AWWA Drinking Water Week* means Long Island’s contest to see who will take home the trophies for “Best Tasting Water” 2018 will soon be in full swing. 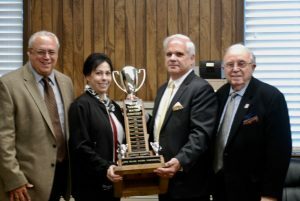 Last year the South Huntington Water District was judged the best in Suffolk County, and the Franklin Square Water District was the proud winner in Nassau County. Can they hold off all challengers and repeat? Find out by participating in the annual event. Sponsored by the LI Water Conference, the Water Taste Contest will take place May 7th through May 10th at the Campus Center at SUNY Farmingdale. The LIWC Public Relations Committee needs the help of all its members to assist in manning the informational display booth. All NSWCA member Districts are encouraged to participate and to volunteer. *For more than 40 years the American Water Works Association and its members have celebrated Drinking Water Week – a unique opportunity for both water professionals and the communities they serve to join together in recognizing the vital role water plays in our daily lives. Drinking Water Week is celebrated the first full week in May each year. Please join AWWA as we celebrate drinking water! This year the theme is “Protect the Source”.